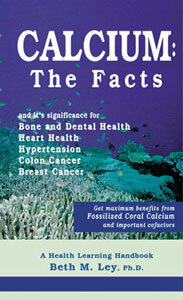 Get maximum benefits from Fossilized Coral Calcium and important cofactors Calcium deficiencies, the most abundant mineral in the body, are linked to a number of health problems including high blood pressure, cancer of the colon, cancer of the breast, osteoporosis and atherosclerosis. Calcium is also important for our thyroid, immune system, energy production and for cellular maintenance, Fossilized Coral is an excellent source of usable calcium for the body. Fossilized Coral actually contains over 70 different minerals and trace minerals (all which are needed by the body), calcium is in the highest concentration. Find out what other important cofactors you need in addition to calcium to make it work optimally in the body for you to prevent health problems and aid many you may have.